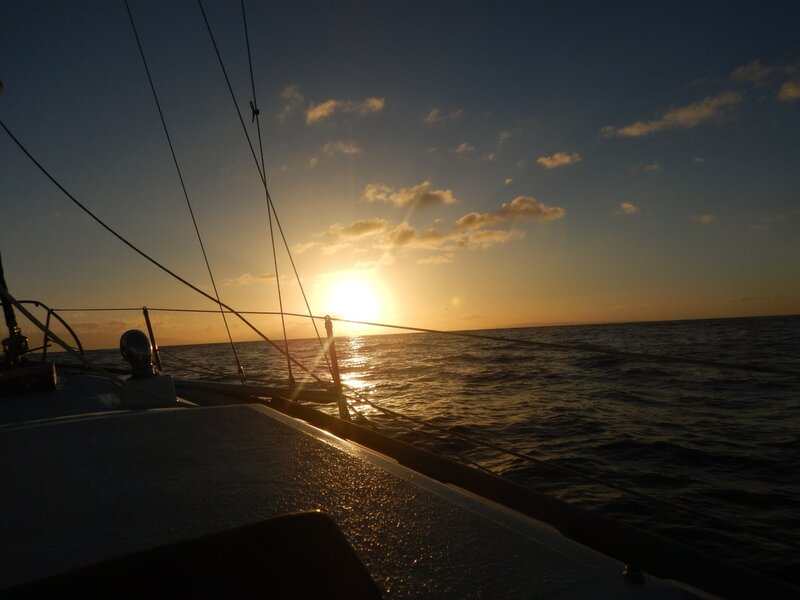 The every odd-numbered year race from California to Hawaii kicked off from Los Angeles and ended with parties in Honolulu with boats finishing from July 10th to the 19th. 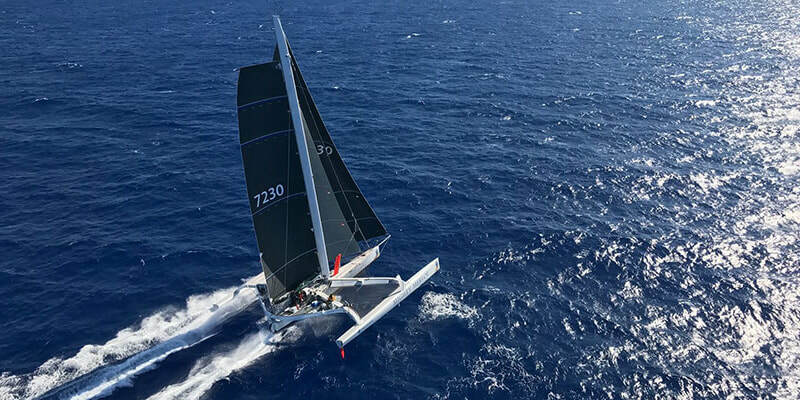 First to finish on July 10th was the ORMA 60 trimaran Mighty Merloe, setting a new TransPac race record of 4 days, 6 hours, 33 minutes and 30 seconds. TransPac 2017 was the 49th race in this classic series that began in 1906, making it the oldest running ocean yacht race in the world. 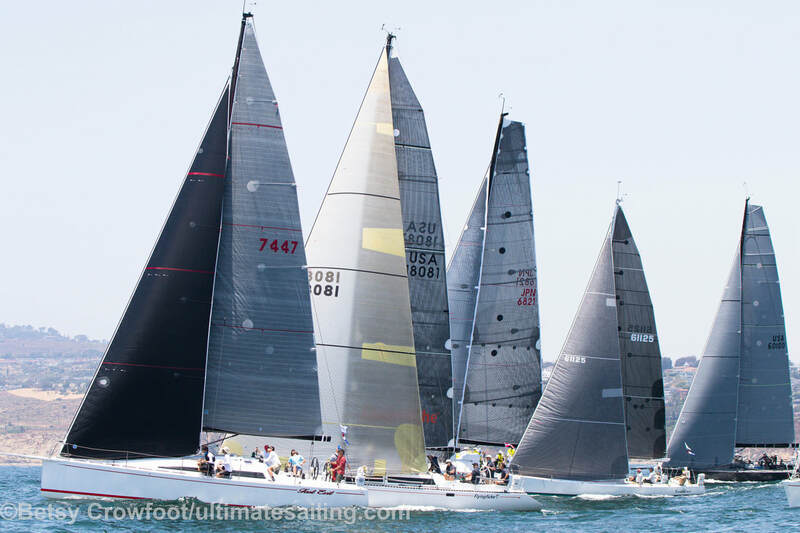 The 2,225 nautical mile race from Los Angeles to Diamond Head buoy starts in Long Beach's Rainbow Harbor and ends with parties at Hawaii Yacht Club, Waikiki Yacht Club and Kane'ohe Yacht Club. This year there were 49 monohulls and 6 multi hull competitors from 8 countries. Although the first boats set records, most racers struggled with light air. Even so, racers eventually all made it to Ala Wai boat harbor, docks packed with boats and crew and the legendary welcoming parties, with friends and fans greeting with leis, mai tais and Aloha. 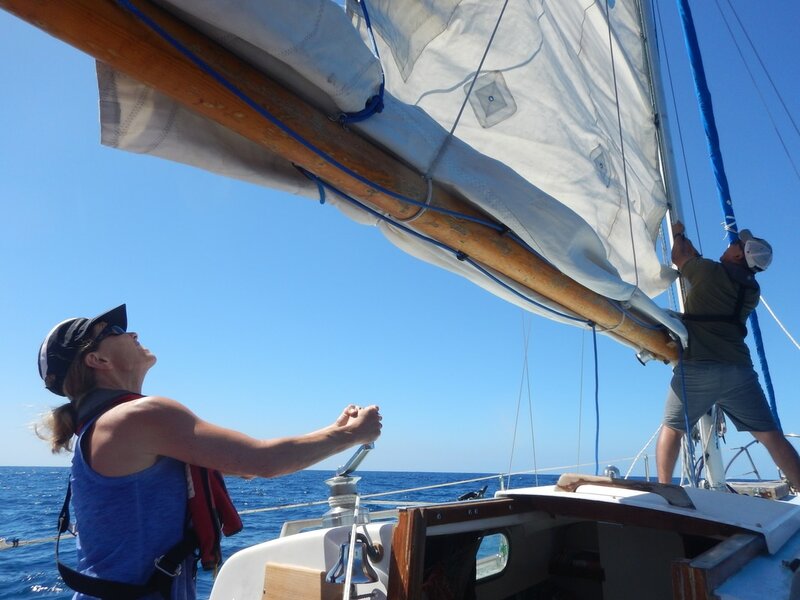 For more information about the race and to find out how to join TransPac 2019, check out the TransPac website, with many more amazing photos from Sharon Green at Ultimate Sailing. 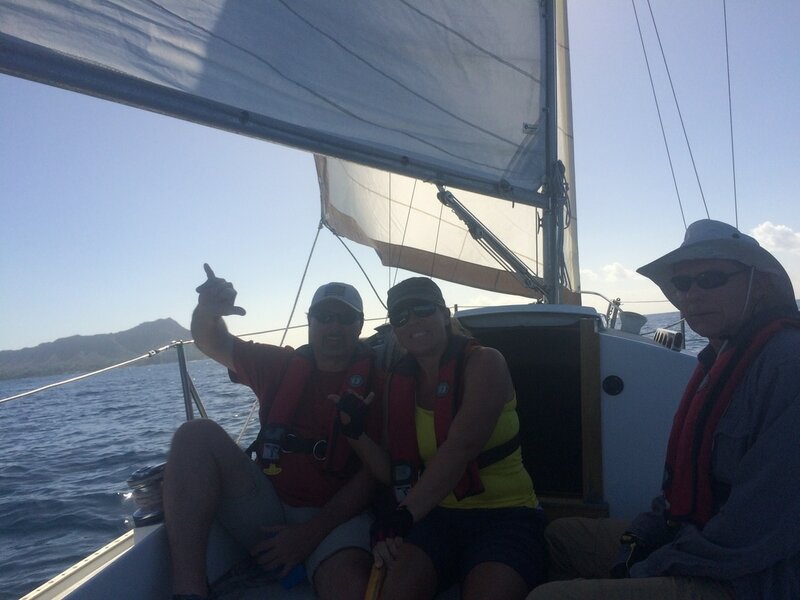 Also, check out this great video summary of TransPac 2017 by TransPac Race. It was an amazing site to see. 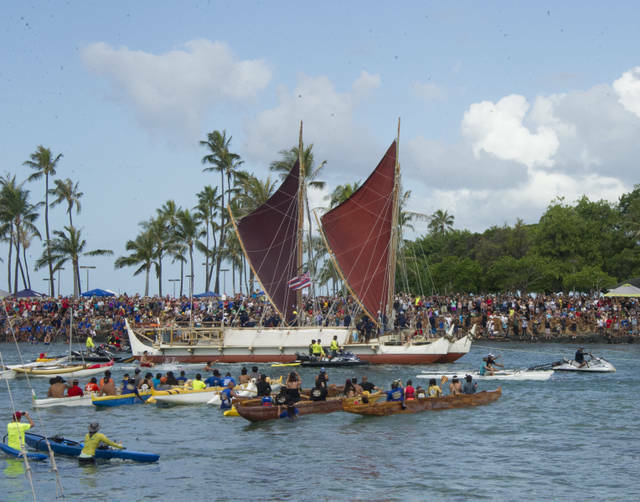 After a 3 year year circumnavigation covering 40,000 miles around the world, the voyaging canoe Hokule'a finally arrived home to Oahu on June 17, 2017 to the crowd of tens of thousands of people at Ala Wai Harbor and Magic Island in Honolulu. Arriving behind her entourage of seven keiki voyaging canoes from neighbor islands, Tahiti and New Zealand: Na Mohoe, Mookiha o Piilani, Makalii, Hawaii Loa, Okeanos, Fafaite, Hikianalia, the modern day wayfinders were met with leis, hugs, cheers and tears. 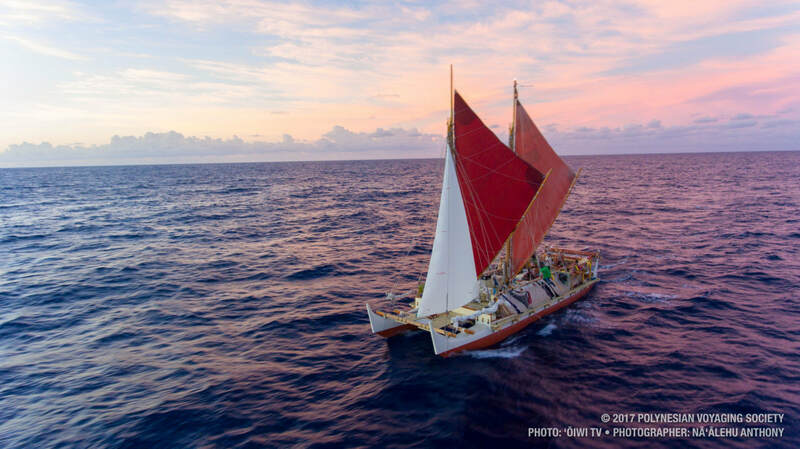 The worldwide voyage of Hokule'a has been in the making for over 30 years and was carried out by members of the Polynesian Voyaging Society, with a mission of educating the world about the history of Polynesian voyaging, traditional navigation and spreading a message of sustainability and caring for Mother Earth. 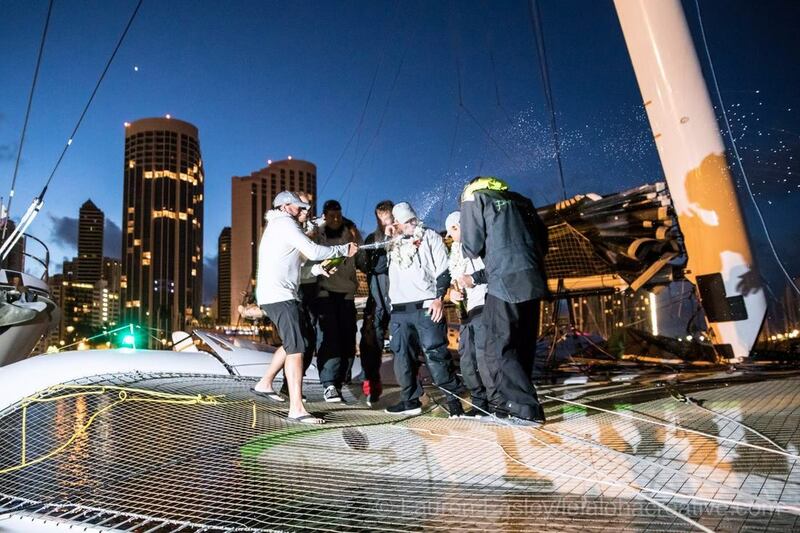 More than 250 crew members took part in the voyage, with 31 legs to 150 ports around the world. 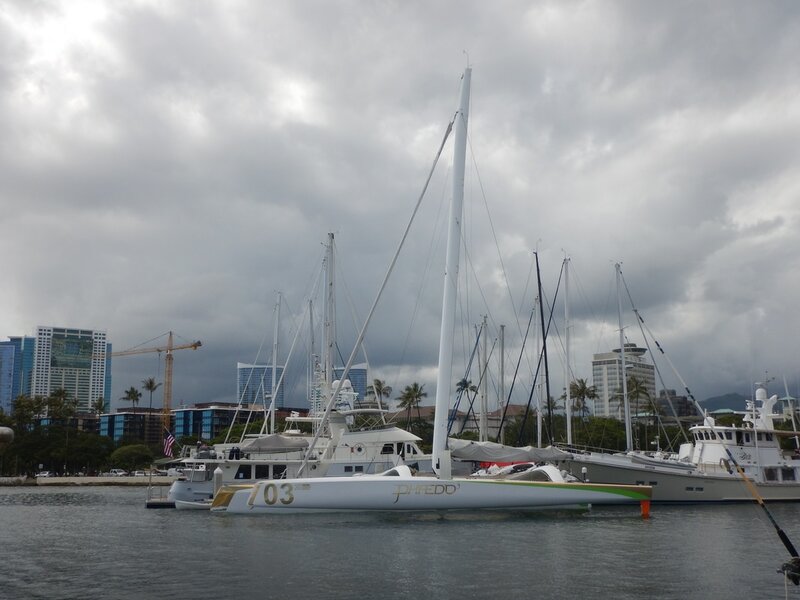 In case anyone was wondering, the sailing speed record from Los Angeles, CA to Honolulu, HI was just set on May 16th by the MOD70 trimaran Phaedo 3. 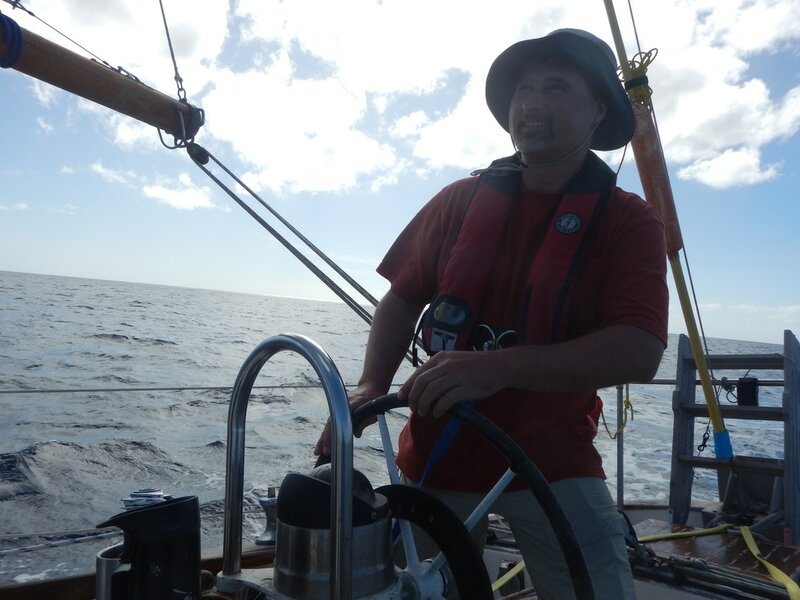 It took only 3 days, 16 hours and 52 minutes for Lloyd Thornburg and 6 crew to sail the 2,225 nautical miles across the Pacific. 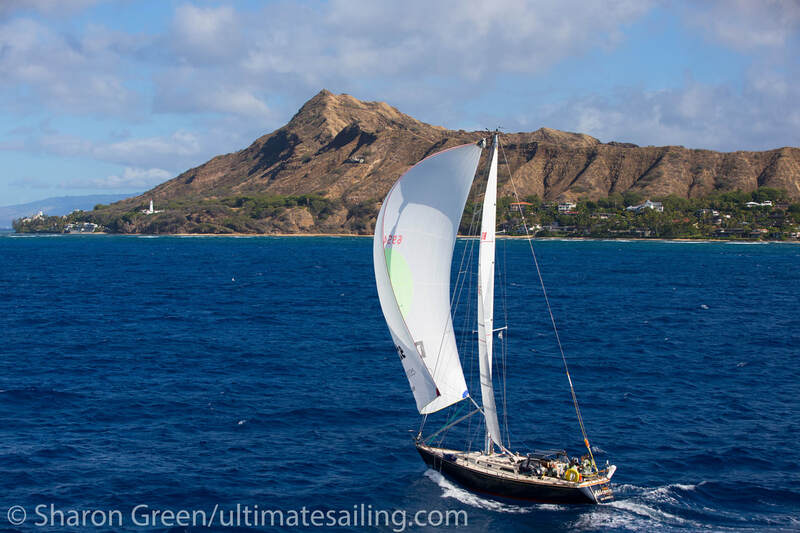 When they passed Diamond Head buoy at 4:32 am local time in Hawaii, they beat the previous record of 3 days, 18 hours set by the 105 ft Maxi trimaran Lending Club 2 during the 2015 TransPac race. 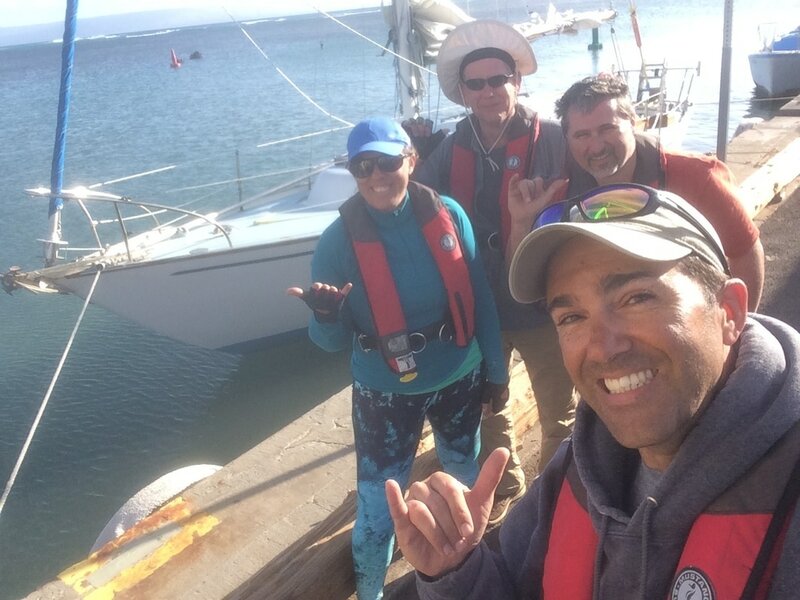 Pacific Offshore Challenge 17-2: Sailing to Lanai, Maui and Molokai aboard Gemini with James, Anne, Leandroe and Angelyn, March 19-26, 2017. 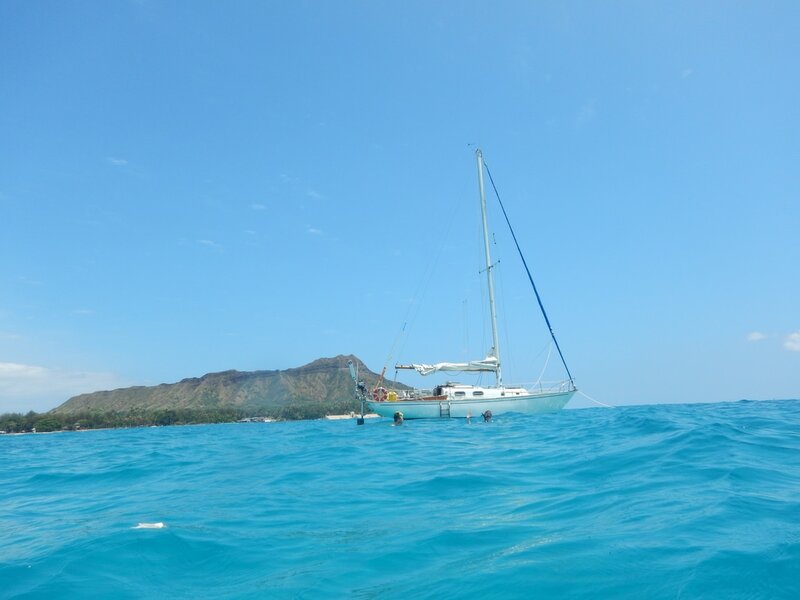 Cruising out to the neighbor islands, Gemini and her crew first took a detour and made a brief stop in Ko Olina, on the leeward side of Oahu. Angelyn joined us on the first day of the cruise and so we thought we would drop her off on the west side. Smooth sailing from Kewalo and around Barber's Point, we arrived just at sunset. Where to go from here? Leaving from Ko Olina adds a few more miles to the course to Lanai and with normal ENE Tradewinds, points us more into the wind. But this is the Pacific Offshore "Challenge" after all! 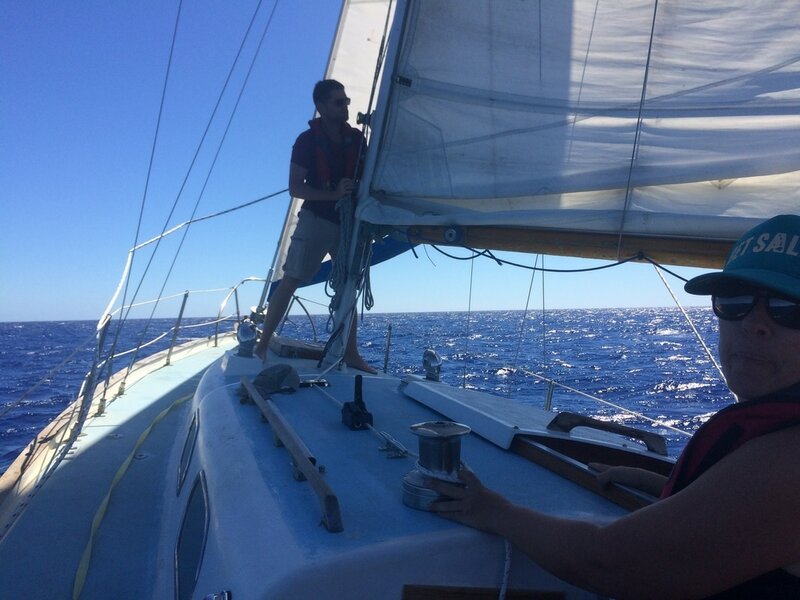 Sailing for 22 hours upwind from Ko Olina to the south of Lanai, is exhilarating but a little bit exhausting. You don't get much (any) sleep really, especially when fishing boats come out of nowhere and try to run you over at 0200. Actually had to call them on the VHF radio to avoid a collision. Remember: "Red over White Fishing at Night" and sailing vessels giveaway to fishing vessels. 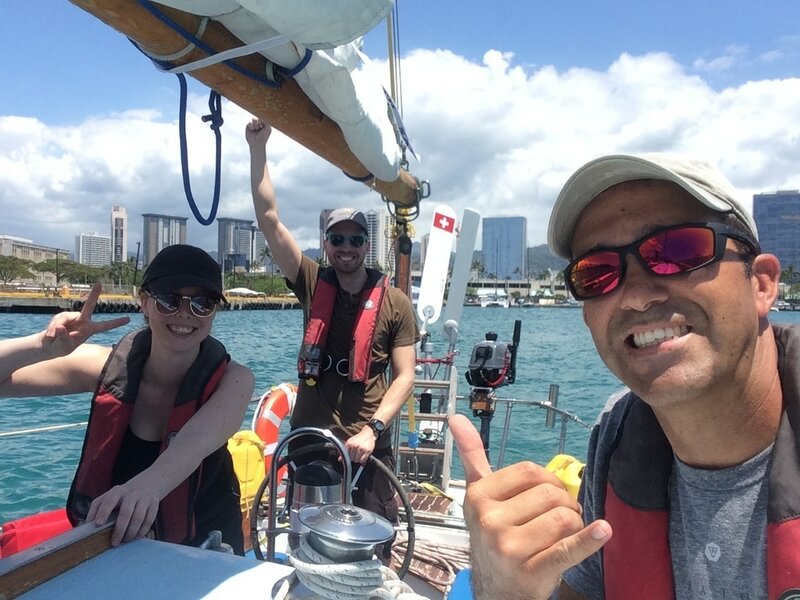 So a little bit damp from the warm Hawaiian sea spray, the salty crew of Gemini is more than eager to set foot in our first destination. Arriving in Kaunakakai, it's easy to tie up to the loading/guest dock. While it's the most convenient spot to moor, it's first come first reserved. The tires on the dock also scuff up the hull if you're not careful. We check in with the Harbormaster, Bernie who is cool with us staying for 1 or 2 nights. 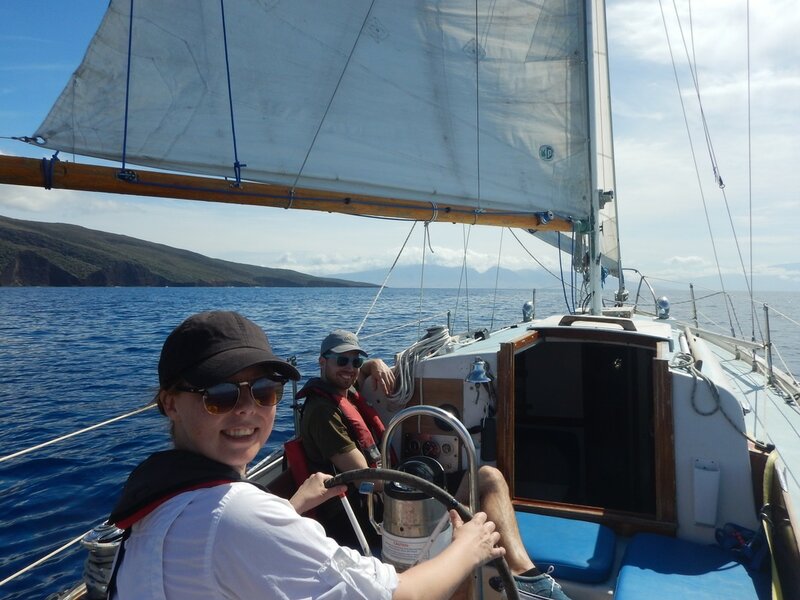 Now, although this is a sailing class, Molokai is just too beautiful to not spend some time on land exploring, so the crew all wants to stay two nights and one full day so we can rent a car and drive around the island.